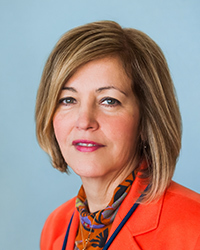 Margarita Alegría, Ph.D., is the Chief of the Disparities Research Unit at Massachusetts General Hospital, and a Professor in the Department of Psychiatry at Harvard Medical School. Dr. Alegría is currently the PI of four National Institutes of Health (NIH)-funded research studies: International Latino Research Partnership; Effects of Social Context, Culture and Minority Status on Depression and Anxiety; Building Community Capacity for Disability Prevention for Minority Elders; and Mechanisms Underlying Racial/Ethnic Disparities in Mental Disorders. She is also the PI of a Patient-Centered Outcomes Research Institute (PCORI) project: Effectiveness of DECIDE in Patient-Provider Communication, Therapeutic Alliance & Care Continuation. Dr. Alegría has published over 200 papers, editorials, intervention training manuals, and several book chapters, on topics such as improvement of health care services delivery for diverse racial and ethnic populations, conceptual and methodological issues with multicultural populations, and ways to bring the community’s perspective into the design and implementation of health services. As an acknowledgement of her contributions to her field, Dr. Alegría has been widely recognized and cited. Among the many awards: the Mental Health Section Award of American Public Health Association, 2003; the Health Disparities Innovation Award from the National Institute of Minority Health and Health Disparities, 2008; and the Award of Excellence from the National Hispanic Science Network on Drug Abuse in 2011. In October 2011, she was elected as a member of the Institute of Medicine. Dr. Alegría was selected as El Planeta’s (Massachusetts’s largest circulating Spanish-language newspaper) 2013’s Powermeter 100 most influential people for the Hispanic community in Massachusetts. Most recently, Dr. Alegria received the 2016 Cynthia Lucero Latino Mental Health Award by William James College. Ramos, Z., Fortuna, L. R., Porche, M. V., Wang, Y., Shrout, P. E., Loder, S., McPeck, S., Noyola, N., Toro, M., Carmona, R. & Alegría, M. (2016). Posttraumatic stress symptoms and their relationship to drug and alcohol use in an international sample of Latino immigrants. Journal of Immigrant and Minority Health, 1-10. Alegria, M., Alvarez, K., Ishikawa, R., DiMarzio, K., & McPeck, S. (2016). Removing obstacles to eliminate racial and ethnic disparities in behavioral health care. Health Affairs, 35(6), 991-999.